The panoramic view of the cab, which provides an unprecedented roof transparency, plays a major role for the 400 series. 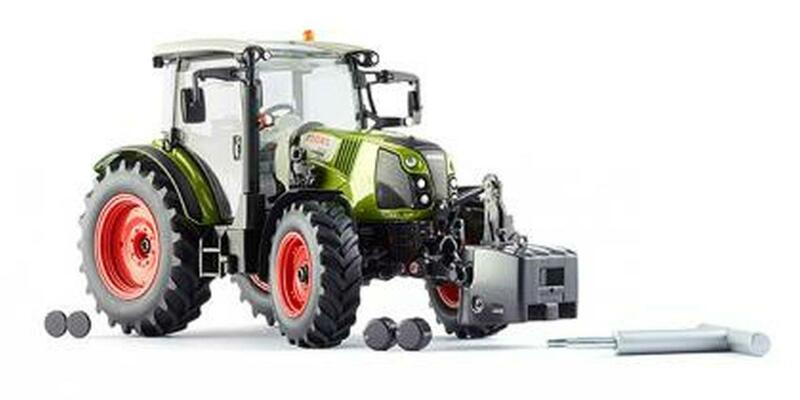 In the prototype the panoramic cab from Claas offers a 2.41 m2 windshield. In this regard, even in 1:32 scale the cab structure dispenses with disturbing crossbars between windshield and glass roof. The overview-providing fitted hood, which the Wiking precision model miniaturizes in fine detail, is also ideal. The FPT 4-cylinder turbo engines under the seed green tractor hood of the large Claas prototype are rated between 90 and 140 hp. The doors, as well as the rear window are designed to open true to the original radius. 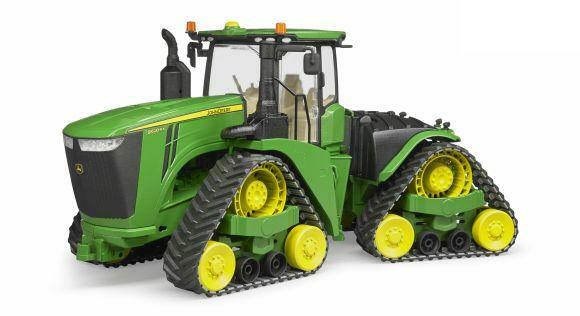 The steering function can be controlled with the finger grip in the cab. The model also offers movable side mirrors and the hinged rotating beacon. 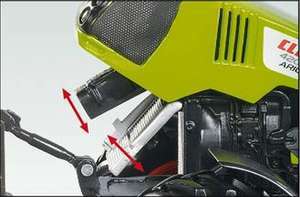 The lower link of the rear hydraulics can be changed in its work position. For off-road use, the chassis has a swing axle. The wheels can be removed and brought into maintenance position with just a few hand motions. An appropriate wrench is provided. The tradition-rich model-makers present a functional top link that is movably attached, and that can also be pulled out. Thus the implements can be hooked on and arrested on the rear of the tractor with even greater precision. Because the wheels can be removed, from this point on there are magnetic hubcaps for front and rear wheels. In addition, the front axle has independent suspension that is worthy of the name and actually allows the wheels to respond individually. When the hood is open, the oil coolers can be moved upward individually as usual for maintenance. 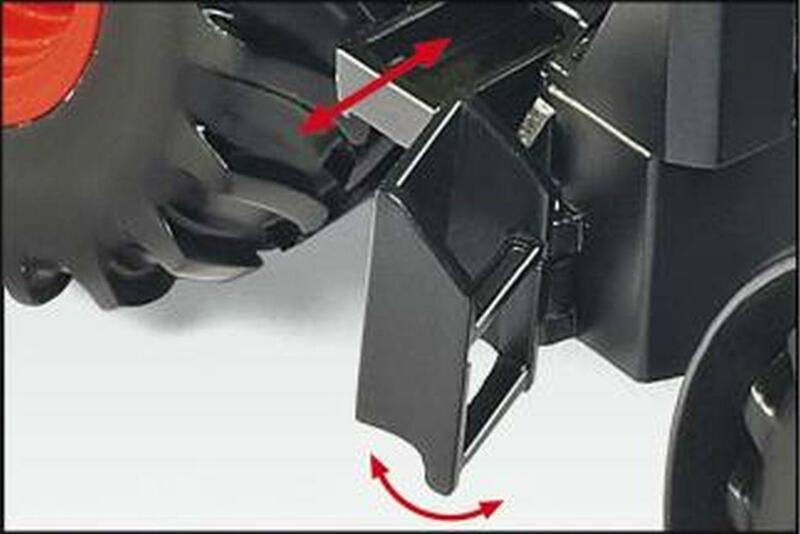 In addition, the right-side entry steps modeled in a hinged arrangement. A toolbox is provided on the right side, ready to be pulled out. The storage compartment is under the passenger seat ? naturally it can be opened!